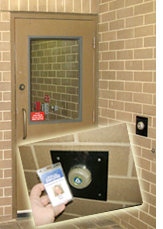 GBA Building Access Services office is responsible for managing the issuance of Capitol Hill access cards and keys to GBA facilities. Agency Access Coordinators maintain accurate employee access information for their facilities and collaborate with the Building Access Services office. Any changes to the employee's building access or personal information must be requested by the appropriate Agency Access Coordinator, listed below. State employees who need their access card replaced must contact their Agency Access Coordinator from the list below. The agency coordinator is responsible for deactivating the lost or stolen card and authorizing the replacement card. The employee is responsible for the $20 replacement fee when the new card is issued, unless the fee is pre-paid by their agency.